These last few weeks leading up to Christmas seem to have flown by. 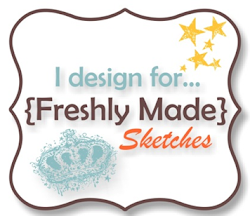 Here we are at our last sketch challenge for 2015 at Freshly Made Sketches. Linda Callahan is our sketch hostess this week. Linda makes wonderfully creative and eye-catching cards – head over to her blog and check them out. 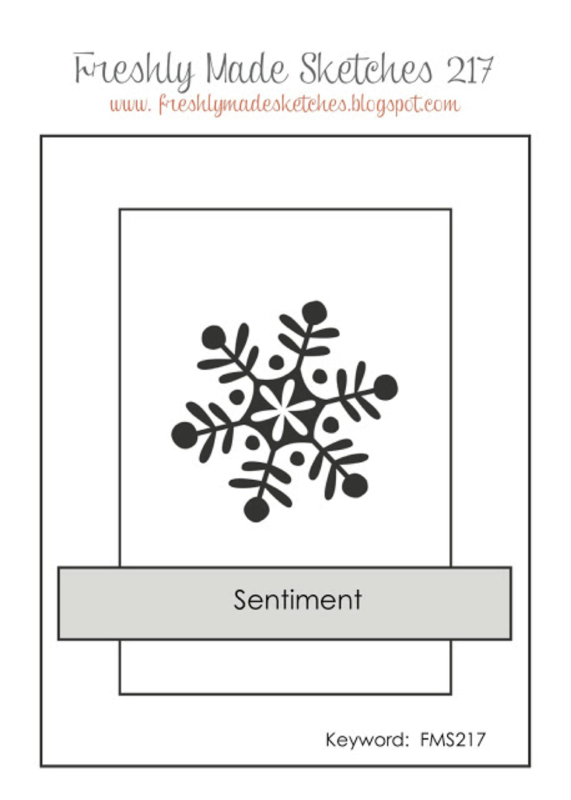 Our last challenge for 2015 is open for two weeks – so you have plenty of time to link up a card. 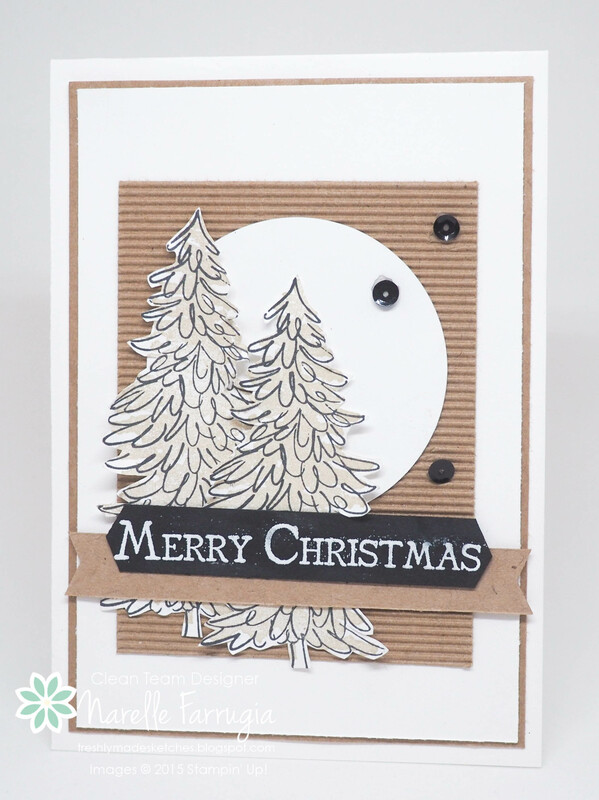 Head over to Freshly Made Sketches and see how gorgeous the Clean Team’s card are. Awesome! Just Beautiful! Merry Christmas and a Blessed New Year to you and your Family! Beautiful card, Narelle! I love the neutrals color scheme, and the corrugated card stock is a fun, organic touch. Have a wonderful Christmas! Beautiful Narelle, the colours go so well together!!! What a fabulous card Narelle! Love the neutral colours! Those trees look amazing! Love the corrugated background! So pretty! LOVE these trees and your neutral background – it’s both elegant and rustic! Merry Christmas to you! Ahh, a lovely neutral card to finish up the season. I love the ribbed background and your beautiful trees! I just love how you can turn neutrals into a masterpiece! This card is stunning! Love the texture of the corrugated paper background, too. Hi Narelle, tried to leave a comment for you on JAI website but it wouldn’t let me. Have sent you a friend request so hopefully that will help. Just wanted to thank you so much for my Xmas card, its absolutely gorgeous!! Love the soft green with the silver and white and the layering of stars and silver twine is such a cool design. I feel awful because I didn’t get any of my Xmas cards out but my resolution this year is to send cards to everyone, including yourself. Hope you have a happy and healthy 2016!!! Love these trees and the gorgeous neutrals! Hope your holiday was fabulous. Happy New Year! !